I thought it would be neat to turn that awesome flavor into a beverage. 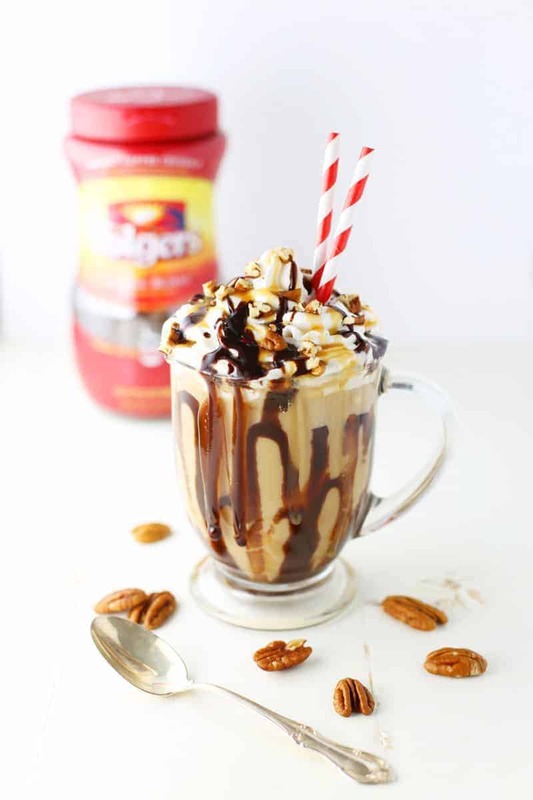 Turtle Iced Coffee has all the flavors of the famous candy without all the calories. Plus, the coffee part gives you a little pick me up. Why not have a little turtle in you coffee! 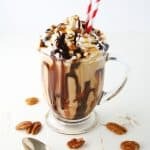 With the whipped cream, chocolate, caramel and nuts on top, it feels like an indulgent dessert but definitely easier on the waistline. You can decide how much or how little chocolate syrup and caramel sauce you want to add. 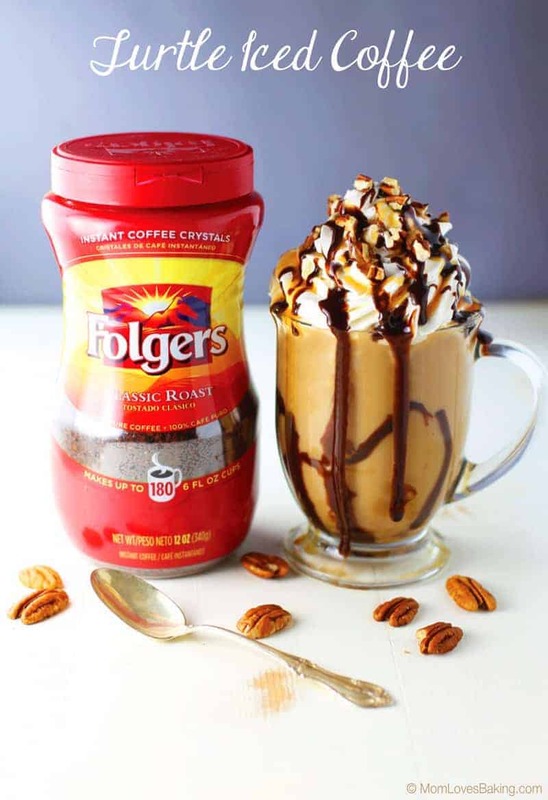 I used Folgers instant coffee for this recipe which makes it super easy to make. I love using Instant coffee. It’s just so quick and convenient. Since I’m the only coffee drinker in the house, it’s the only coffee that I usually have on hand. 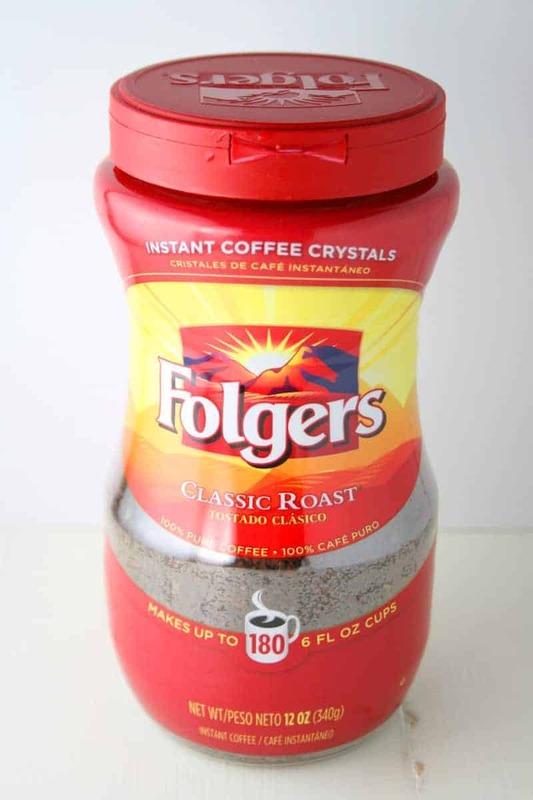 To make Turtle Iced Coffee, start by making the instant coffee according to package instructions. Add the creamer and sweeteners of your choice. I used a fat free half-n-half and a sugar substitute. Take a tall glass and drizzle in some chocolate syrup and caramel sauce. Add ice. Then pour the coffee over the ice. 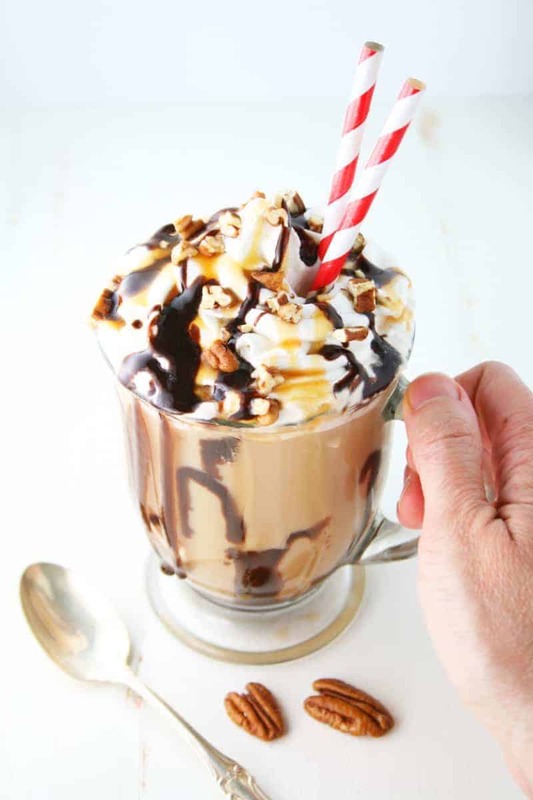 Top your iced coffee with whipped cream or you can use frozen whipped topping which has been thawed. That’s what I used. Drizzle chocolate syrup and caramel sauce on top, then sprinkle with chopped nuts. Straws are optional. Drink and enjoy! Turtle Iced Coffee makes a great afternoon coffee to brighten up your day. Prepare coffee according to package instructions. Stir in creamer and sweetener. 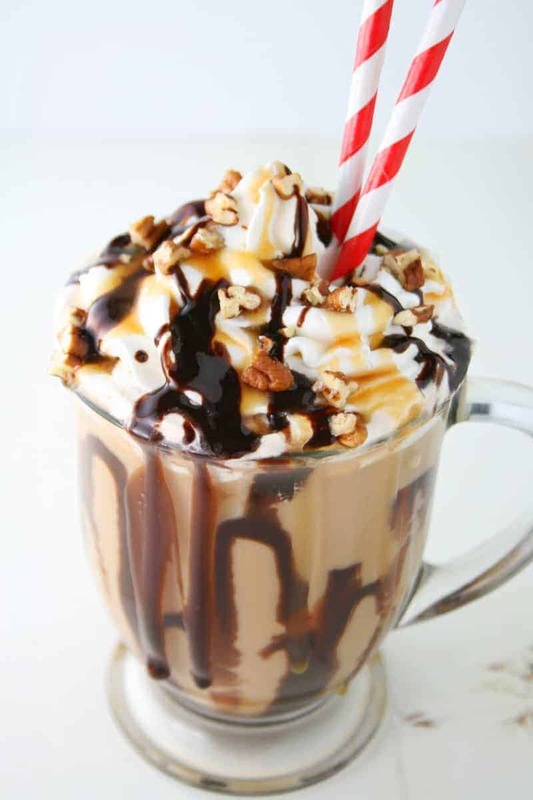 Pour a little bit of chocolate syrup and caramel sauce on the inside sides of a tall glass. Add ice. Pour coffee over the ice. 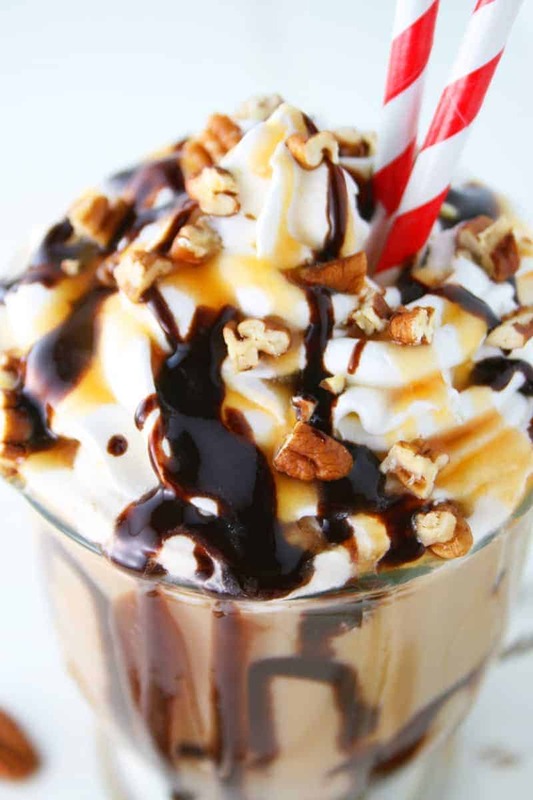 Add whipped cream, more chocolate syrup, caramel sauce and nuts on top. I deserve one of these every morning this Summer. And maybe Fall too. perfect afternoon pick me up! 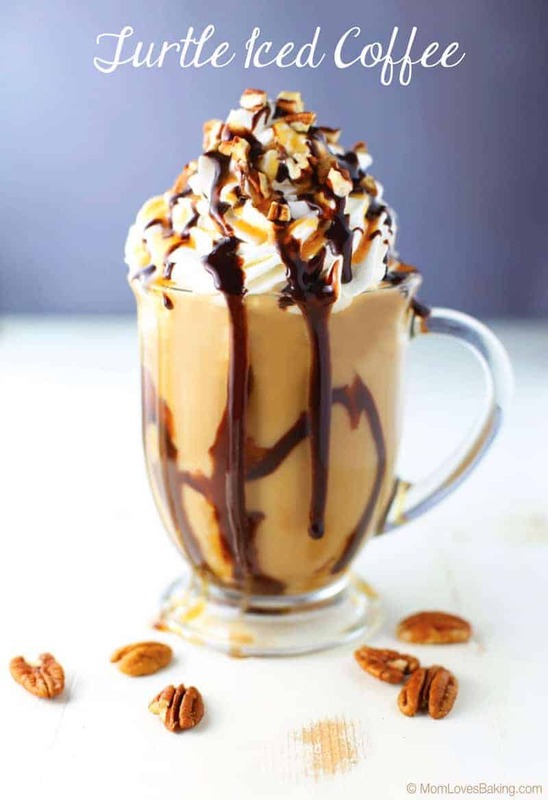 Love an iced coffee drink! Do you find this particular instant coffee, easy to bake with? !